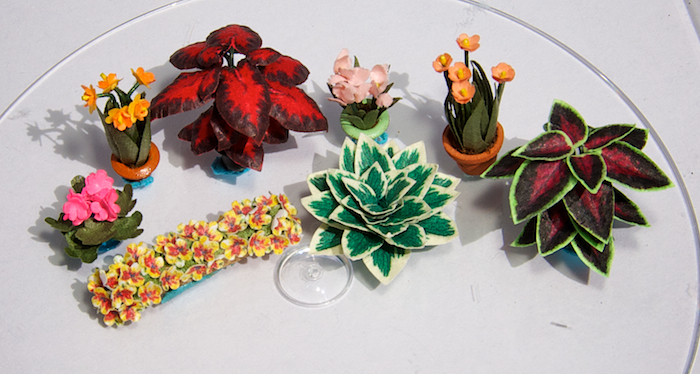 In this workshop you will learn my techniques and hints for making flowers out of paper in 1/4" scale. Plan on making Geraniums, Daffodils, Tulips, Iris, Hostas, Coleus, Pansies and more. Included is a basic tool kit with all of the tools needed to make flowers. Plus a generous amount of flower parts for even more "growing" at home. Just bring tacky glue, tweezers, wire cutters and your garden gloves. I look forward to having fun getting busy in the flower bed with you.